Meet Finley – AKA Fin. 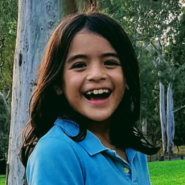 On Sunday, the 26th of August 2018, after growing his hair long for just over a year and a half, Fin – an inspiring 9-year old from Adelaide – shaved his hair at the Wheatsheaf Hotel for charity. 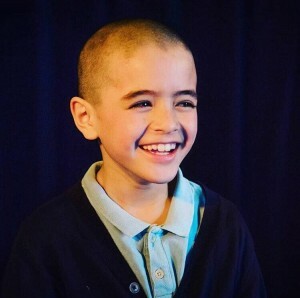 Earlier this year in February, Fin told his mum and dad that he wanted to shave his hair and make it into wigs for those who lose their hair due to Cancer treatments. A couple of days later, Fin brought up the idea of wanting to raise money for charity in the process. He told his parents he wanted to raise money for two types of charities – epilepsy and an overseas cause. With his parents help, Finn decided on the two charities he wanted to raise money for. One was Epilepsy Action Australia, an amazing charity, and the leading provider of epilepsy support and information nationwide. Fin chose this charity to support his father who suffers from epilepsy. The other charity was TIA Australia. 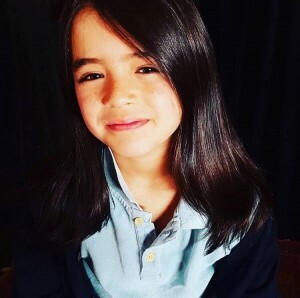 A My Cause page was set up to raise Finn’s original goal of $2000 – with the intention of splitting it between the two charities. Finn reached this goal in just TWO DAYS! So then his goal went up to $4000 – then this goal was surpassed soon after. In the end, Finn raised over a whopping $6000 between the two charities. Way to go, Fin! It was a fantastic day at The Wheaty. Starting the festivities at 12, guests were treated to curries made by Fin’s mum. Many friends and family were there to support too. 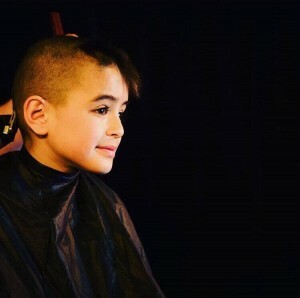 Guests were also encouraged to cut Fin’s hair for $20 each – with all proceeds once again going towards the charities! We at TIA are extremely grateful to Fin and his family, and all the donations and support we received coming up to the event and on the day. $3000 would run TIA in Bolivia for almost a month, and could fund 90 staff working in children’s homes to be trained to prepare their teenagers for leaving care. $3000 over here in Australia would ultimately be the equivaent of about $20,000 in Cochabamba – where we run our programs – so every donation goes a very, very long way! Finley’s action just shows that we don’t need to agonise or worry about what we can do about things that concern us. Just have to decide to do something and then do it! Finley seems to have worked this out at quite a young age. There’s hope for the future as long as there are kids like Fin. So very proud!